American by origin, Merilee Karr is an adopted Brit, having lived in London for the last 18 years, always in the southwest in Fulham and Putney. She founded her short-term lettings company back in 2014 and has built everything to deliver the vision of providing responsible home letting solutions in and around London ever since. Passionate about providing guests with a ‘home from home’ experience and not leaving homes empty when their owners are away, when others could enjoy them, meant that her company UnderTheDoormat was born. • Choose a frequent flyer programme: For Americans who know they will be going back and forth to the US a few times a year, I highly recommend that you pick one airline and stick with it. Membership has its privileges and the occasional upgrade on the overnight flight is always a bonus. Finding a new home is undoubtedly one of the toughest challenges when relocating. Even though the job opportunity is likely to be in central London there is no reason why you should have to live right next door – you might decide on a completely different spot and it is very normal for commute times to be anything up to an hour in London. London has superb transport links and thinking about direct transport links rather than distance is an important perspective. It’s a good idea to try short-term rental options whilst you figure out the right area for you. Our own company is proud to offer over 200 homes across London where guests can stay for short periods to really get a feel for the location. St Pauls is very different to Wandsworth and Waterloo to Notting Hill. Our ethos is to enable guests to ‘live like locals’ – so what better way to research an area or try 3 in your visits so you can find the one which is right for you. If you can find an option which gives you the chance to stay in a home until you can move into your permanent accommodation, then this will certainly make life and your move a bit easier. Most companies will pay for 1-3 months of temporary accommodation when you arrive, and it means you have a wonderful home to live in until you own things arrive and you can move into your long-term home in London. Once you are all settled, it’s also a great service to use for friends and family who come to visit. London homes often don’t have as much space as you are used to in the States, so having people stay at your own home isn’t as easy as your friends and relatives might think. Being American herself, Merilee’s team has been handpicked to help people with a personal service and they can explain everything from the difference in king size beds in London vs. the US, to what to look for in a bathroom - the cute little separate taps in bathroom sinks for hot and cold water can get annoying when you are used to a single faucet. So, fun for a few days but something to avoid when you plan to live there for a few years! We look forward to welcoming you to London as you begin your move so you can make your transition to London as smooth as possible. Accommodation Solutions for the Summer! With the summer season nearly upon us, we thought we would introduce you to some of the partners we have worked with over the years, who will be able to help you, your friends, family and/or colleagues with any accommodation solutions. We are delighted to offer a range of residences including Four Seasons Hotel London at Ten Trinity Square, Residence Inn London Kensington, Your Apartment and Premier Suites. Set in the heart of the City of London, just 20 minutes from City Airport and within easy access of underground and rail networks, Ten Trinity Square is a prime location for business or leisure. 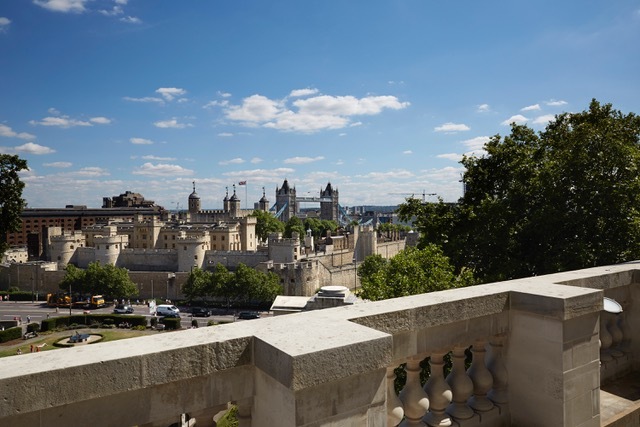 The residences feature open-plan living areas, dining rooms, fully equipped kitchens and up to four bedrooms, with standout accommodations offering extensive private terraces with stunning views overlooking the Tower of London and Tower Bridge. Located between the third and seventh floors of Ten Trinity Square, the spacious and well-appointed residences offer all the comfort and convenience of the Four Seasons Hotel, with the added privacy of a dedicated entrance. As a guest of the residences, you’ll enjoy full access to the five-star services and facilities including Michelin starred French restaurant La Dame de Pic London, Asian restaurant Mei Ume and the Rotunda Bar and Lounge; the setting for the Hotel's traditional afternoon tea. Other services include in-room dining, concierge, a luxurious spa with state-of-the-art fitness centre and indo or pool, Gielly Green Hair Salon and elegant event spaces. You will also be eligible for exclusive access to the Ten Trinity Square Private Club for the duration of your stay. The members-only venue offers a variety of spaces for meetings or social gatherings as well as several dining options, a Chateau Latour tasting room, members’ bar and cigar sampling lounge. Located in one of London’s most prestigious neighbourhoods, the capital’s newest and Europe’s largest Residence Inn will start welcoming guests this July. Conveniently located between West Kensington and Earl’s Court tube stations, with many of the city’s iconic sites and visitor attractions on our doorstep, the Residence Inn London - Kensington provides the ideal base to explore London. From the shopping Meccas of Harrods and High Street Kensington to the cultural delights of the V&A Museum and Kensington Palace, the capital’s most popular cultural attractions are all within easy reach. And for those travelling on business, we’re just a 10-minute walk from the Kensington Olympic Exhibition Centre and an easy tube journey into the City. However, with free Wi-Fi throughout the hotel plus a 24-hour business centre and weekly after-work mingling through our Residence Inn Mix socials, we make it easy to stay connected. Whether you’re looking to stay for a couple of nights or want somewhere to call home for a few weeks, we offer a genuine ‘home-from-home’ experience and warm hospitality. All our fully-equipped suites provide more space than a standard hotel room, with a separate bedroom and living area with work space, fully-equipped kitchen plus complimentary hot breakfast. What’s more, with our state-of-the-art gym, cocktail bar, games room, free Wi-Fi, communal laundry facilities and a 24/7 Grab ‘n Go market in the lobby, you can rely on us to help you maximise your stay in London. COMING TO LONDON, WHERE WILL YOU STAY? Your first thought may be a hotel, but many people are now choosing to stay in fully serviced apartments as they provide a flexible alternative. Yourapartment.co.uk provide furnished apartments that offer a ‘home from home’ feel with the versatility you can’t get in a hotel. Some people may like to eat out every day, and that’s fine. But if you are staying for a while, there may be times when you would like to cook an evening meal, or even prepare your own breakfast or lunch, which is where staying in an apartment is ideal. But, if and when you want to eat out, all our apartments are positioned within easy walking distance to local shops, restaurants, cafés, pubs and entertainment. You won’t need to worry about costly parking fees either as all our apartments have a parking space included within the price, so if you are travelling into London you can leave the car and hop on the train, as all our apartments are close to local train or underground stations. If you are looking for a place to stay in North London, Watford, or Elstree that has all the comforts and amenities you enjoy at home, then click here to find out more and to view our apartments. Americans have always had a deep connection to Britain, and London is home to many Americans for its exceptional schools, culture and job opportunities. Given the ongoing dip in property prices and relatively strong dollar to the pound, it’s a great time for Americans thinking of buying in the capital. So here is my summary of some of the major differences between buying a property in the US versus the UK (please note that every US state will have its own laws and processes, so this is just a general guidance on how things work). In America, your first step in the buying process is to consult with a bank or mortgage broker to get a sense of what you can afford. Serious buyers will actually get pre-qualified which means that the lender has checked credit and verified documentation to approve a specific loan amount and interest rates (usually for a particular period). In the UK, lenders will offer a “mortgage in principal” giving indicative mortgage amounts and rates. However, this will have been done without a formal application so their level of review of your circumstances will not be as in depth. In the US, the next step is to hire a real estate agent who will get you in to see every property that may be of interest. They will negotiate on your behalf and assist in writing the contract which is presented and negotiated with the selling agent that represents the seller. The seller will usually only list with one agent at a time and will pay a sales commission that is split between the selling agent and buying agent (typically 6%). 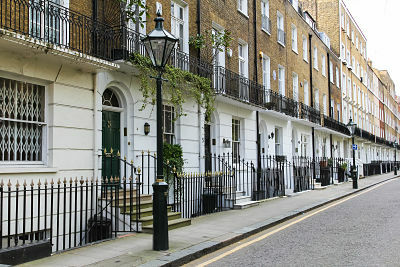 In the UK, the market is dominated by estate agents who work on behalf of the seller (vendor). The seller will typically pay 2% commission for a sole agency, but may decide to hire several agents, and in this “multi- agency” scenario, the fee will be around 3%. In the UK, potential buyers must register with the specific agent listed on a particular property in order to see it, and that agent can only show the stock that they have. This can be extremely inefficient as busy professionals and foreign buyers must deal with several different agents and arrange viewings at different times. In the states, your buying agent will typically go out with you and be your consultant every step of the way. This was one of the things that surprised me most as a real estate professional when I moved to London - that people are buying the most expensive purchase of their life with no one guiding or supporting them directly; instead they must rely on the estate agent that really works for the seller. In the states once a buyer wants to make an offer on a particular property, in consultation with their agent, an offer is written including price and any other terms (such as subject to a home inspection, appraisal and financing being obtained). The buying agent then presents the offer to the selling agent and negotiations commence until price and terms are agreed. A legally binding contract is then signed and usually a deposit of around 10% is held in escrow until completion. Next appraisal/ inspections are conducted as per the contract. If any issues are found, the buyer may decide not to proceed, to renegotiate based on items identified, or to release the contingency and proceed with the deal. 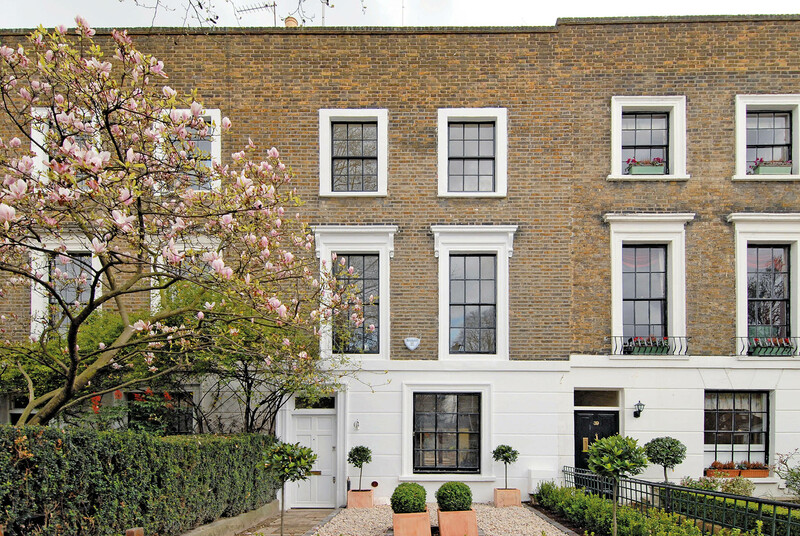 In the UK, the offer is made to the estate agent who represents the seller. Once the offer is accepted, both parties engage solicitors and a sales memorandum is issued summarising the details. Closing Process During the closing process you will find a stark difference between the UK and the US. In the UK, until you exchange contract - which can be weeks or months later and after solicitors have been hired and title searches, surveys, valuations and financing have occurred - either party can walk away. For example, a seller can accept a higher offer (being “gazumped”), or the buyer can simply decide not to proceed. This leaves both parties highly exposed throughout this time. It is only at exchange of contracts that both parties are legally bound and the buyer will put up a deposit of around 10% and a completion date is set (usually a couple of weeks later, though sometimes simultaneously). At completion, the solicitors will arrange for the remaining monies to be paid and keys exchanged. In America, the legal work and transfer of ownership is handled by a single attorney/title company appointed by the buyer. At closing, all documentation is signed, including loan documents and bank funds. Within a few days after funds have cleared, keys are then released (this also can be done at closing if a cashiers cheque is issued). If all this sounds overly complicated, it doesn’t have to be. If you are considering buying in London, whether you’re American or a local resident, please get in touch to discuss our buying service. We will navigate and streamline the entire process for you and guide you with sound advice every step of the way. We also work with renters and can help you figure out where to live and will preview properties so you’re only seeing those that meet your criteria. Our commitment is to deliver exceptional service to all our clients whether they are buyers, sellers, renters or landlords. We look forward to working with you. Ugo Arinzeh is founder and Managing Director of Onyx Property Consultants. She has an MBA in finance and spent over 10 years with Bank of America Merrill Lynch structuring and negotiating real estate transactions. Over the years she has personally bought, sold and managed properties both in the US and in London. She is passionate about property and founded Onyx to utilise all her skills from her corporate and investor background to deliver exceptional results for her clients. As part of Keller Williams, she is connected to the largest network of agents globally.